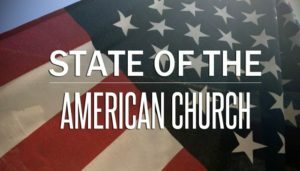 The American Church is on the decline. Stats have shown that it’s been happening for decades, but there’s been a steeper decline in the past 7 years. And while plenty of the factors are external to the church, there are also many from within. Some of these have been on my mind for years (some going back to personal experience over 20 years ago), and some inspired by a conversation recently with someone I’d gone to college with, but by no means is this comprehensive. So much of our worship is centered on us, not God; on our feelings, not Him. Heck, a good amount of CCM music, some ‘worship’ music included, would be standard love ballots if you took out the occasional reference to Jesus…even more so to the mention of the non-specific God. Ask yourself, after 237 years, why John Newton’s hymn Amazing Grace still strikes a resounding chord in both believer and non-believer alike. Will, for example, the ubiquitous Oceans still be sung in 50 years, let alone 237? Now, I’m not saying that hymns are the only way–there’s plenty that are just as shallow as many modern songs–but we should scrutinize our song selection better, perhaps. Nepotism. Here’s where it might get really personal with some, but I’m ok with that. From large congregations like Osteen’s Lakewood Church to small local churches, nepotism has a stranglehold on many churches, consolidating power in the family, and keeping others from filling those voids. The Church isn’t an earthly kingdom to be governed by royalty–it is the Body of believers, where each has a part and a significance. But ask anyone who has served as a pastor for any length of time, and you’ll hear stories of people put into positions simply because they are family of the senior pastor or someone of ‘significance’ in the church. Viewing ministry as a career. I once served with a senior pastor who at once point, without even batting an eye, stated he never felt called to be a pastor…he did it because his father was one. And how effective do you think he was? Hint: our time there was very, very short. The church is a community of believers, not a corporation with customers. Churches often ignore members whose return on investment is too low. Focusing on salvation. Now, before you think I’m being a heretic worthy of a toasty bonfire, hear me out. I’m not saying, in any way, shape, or form that salvation isn’t important. It is. Hear me clearly on that. But, and this is big: it is not the end. It is the foundation, but it’s just the beginning. Further, and this may start some readers back to preparing the bonfire, but the focus on salvation is also, in many ways, focusing the attention on the believer rather than on Christ. Unless those believers grow beyond that, they remain infants and their faith never matures….and the Church misses out on one of its core functions. In a recent seminar I gave to Christian high school seniors about to head to college, I asked them to name five figures from Scripture that God used in a powerful way. Their list included Noah, Moses, Elijah, John the Baptist and Jesus. Question for the American church: how relevant to their respective cultures were those guys? Noah was a laughingstock, Moses was exiled and hated, Elijah had a bounty on his head, John the Baptist lost his head, and Jesus lost a popularity contest with a despised murderer named Barabbas – all because each was committed to speaking a truth that no one in their time wanted to hear. Christianity is often opposed to society, and I’d be so bold as to say even more so now. How different can we be if we’re trying so desperately to blend in (I’m tempted to add in ‘especially in the political arena’, but that might be pushing it a bit too far for too many folks)? Where is our example in Scripture? Adherence to the nuclear family model. A recent discussion with someone I’d gone to college with, and one of the few I can think of that’s not only still in ministry, but still in children’s ministry inspired this one. And it’s completely true. Part of it goes back to #4 above, where, as part of the success, churches have a target demographic, if you will…often this: young family, a kid or two. But that model is broken…especially for kids who don’t have that family, who are being raised by another relative, are from very broken families, or are in foster care, or are maybe even coming on their own, etc? Whether intended or not, those kids don’t fit in.